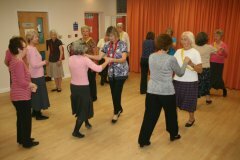 Beginners are welcome to join us and we would welcome some male participation too. 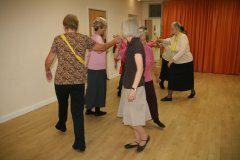 This lively group learns an ever growing repertoire of traditional dances for enjoyment and exercise: soft dancing shoes or similar should be worn. 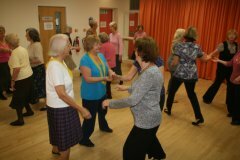 We have a lot of fun and we have been pleased to welcome some new members recently. This group is now full. Please contact Mary Lamont if you would like to be added to the waiting list. Venue: Ash Centre, Ash Hill Road.